This sculpture within a sculpture is hand carved from a natural granite boulder. The precise paddle wheel and mill house are placed within a hollow cavity of the large boulder. When the water flows through the fountain, the water wheel spins. 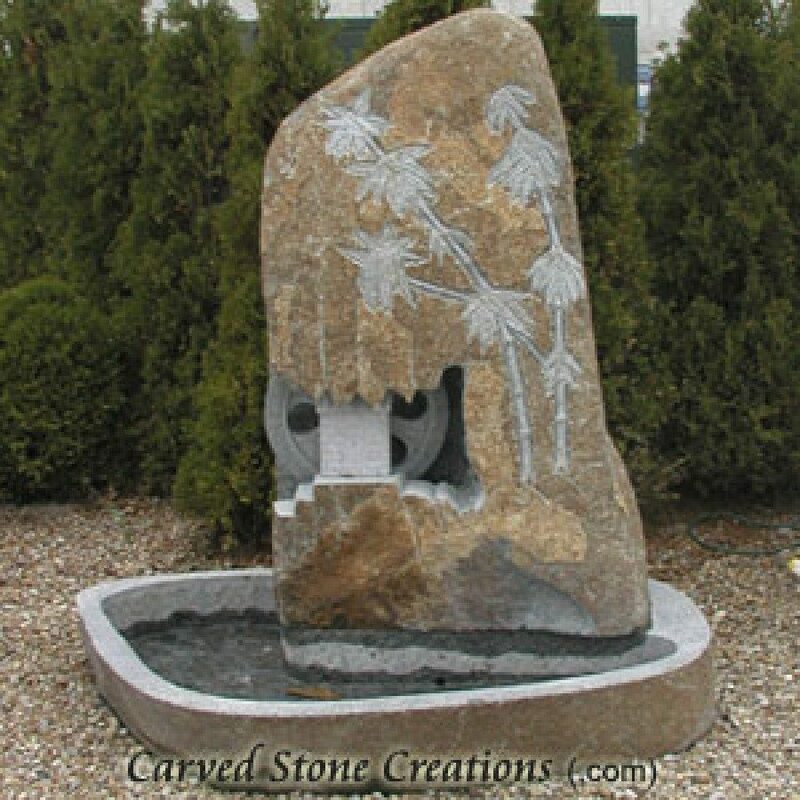 This fountain also features handcarved bamboo details on the front of the boulder. Two boulders come together to form this beautiful fountain. This cascading fountain features handcarved vessels staggered over one another within a hollowed boulder. The water gently flows from one vessel to another to its final destination in a large boulder basin. Set your landscape in motion with a rotating sphere fountain. It features a floating absolute black granite sphere that rotates as it floats on a bubbling water above a natural boulder. The floating granite sphere is mesmerizing! This fountain is a true work of art! The front of the boulder features an intricate forest relief carving. The forest comes to life as the water bubbles and flows over it. We can carve different designs into the boulder for a custom display, too! 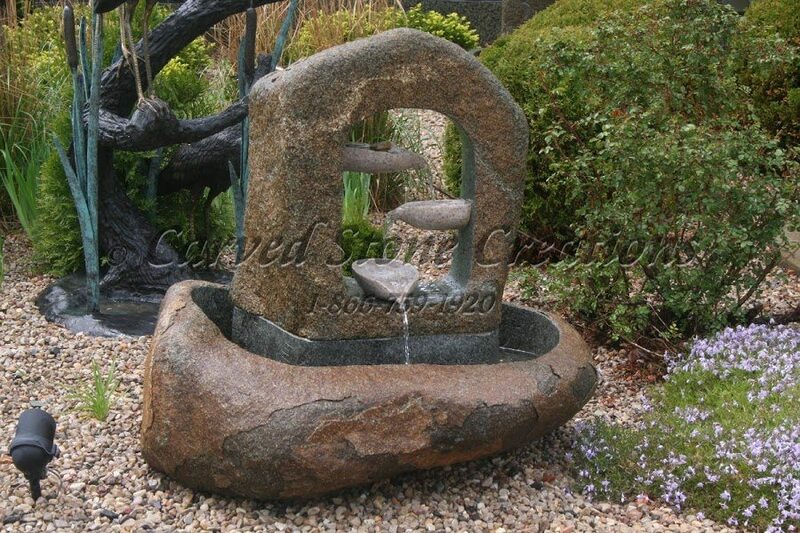 If you are interested in learning more about our unexpectedly unique stone fountains, please contact us.